BARKSDALE AIR FORCE BASE — Lt. Gen. Stephen Wilson will transfer command of Air Force Global Strike Command to Gen. Robin Rand during a ceremony, July 28, before moving on to his next assignment as the deputy commander of U.S. Strategic Command at Offutt Air Force Base, Nebraska. Wilson has led AFGSC since October 2013, overseeing more than 23,000 people operating at locations around the world. In this position, he was responsible for organizing, training, equipping and maintaining all U.S. intercontinental ballistic missile and nuclear-capable bomber forces. During his time, national defense leaders including the Secretary of Defense, Chairman of the Joint Chiefs of Staff and the Secretary of the Air Force have reaffirmed the importance of the command’s mission. 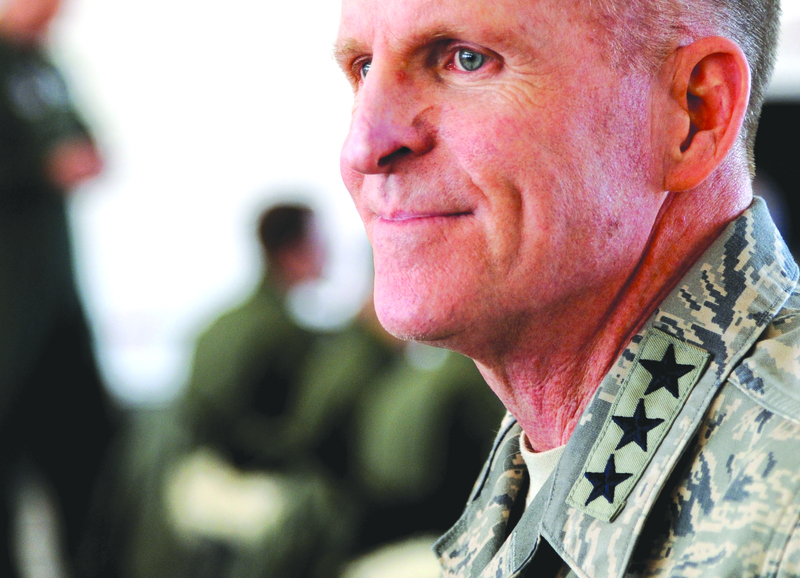 In February 2014, Wilson established the Force Improvement Program, an aggressive grass-roots effort to quickly provide senior Air Force leaders with recommendations to foster positive changes within the command. Directly engaging with Airmen to discover possible areas of improvement, FIP opens lines of communication between the Airmen in the field and senior leaders to drive rapid, lasting change. Over the year and a half since FIP began, the program has evolved into a continuous force improvement philosophy where Airmen are encouraged to keeping finding ways to improve upon their mission. Also during Wilson’s time as commander, the Air Force decided to realign three more bases under AFGSC, which will increase the command’s footprint to eight bases. The 377th Air Base Wing at Kirtland AFB, New Mexico, the 7th Bomb Wing at Dyess AFB, Texas and the 28th Bomb Wing at Ellsworth AFB, South Dakota, will join AFGSC in October. With the Long Range Strike-Bomber program also moving to AFGSC, a single command will be responsible for organizing, training and equipping Airmen to perform the Air Force’s global strike mission. With an eye on the future, Wilson was instrumental in promoting modernization or replacement programs for multiple weapons systems. Among these is a successor to the current Minuteman III ICBM, known as the Ground-Based Strategic Deterrent, and LRS-B. These programs are vital to the United States’ continued ability to defend itself against any threat and to protect its interests and those of its allies around the world, Wilson explained. Despite his success in managing the materiel needs of the command, the general consistently maintained it is the Airmen who are in fact the command’s most valuable and important resource. During his final weeks in office, the general asked Airmen to empower their successors in continuing to improve the command. AFGSC Airmen are among the finest in the world and there’s no doubt that they will continue doing an exemplary job, he said.